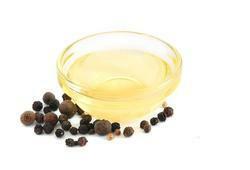 Prominent & Leading Exporter from Delhi, we offer black pepper oil, clove leaf oil and spices oils for flavoring. With the help of our skilled professionals and innovative formulation methods, we offer premium floral absolute oils for various & cosmetic applications. We maintain superior quality control vigilance throughout the process to ensure purity & naturalness of our floral absolute oils. These organic floral oils are available for sales at discounted rates. We are offering a superior variety of Clove Leaf Oil which is completely steam distilled from the buds, is native to Madagascar and now distilled at a global level. It is developed as per international standards and contains a pungent and spicy aroma. Moreover, it is highly preferred by customers' and is perfectly used in dental preparations, as a fragrance component in toothpastes, soaps, toiletries, cosmetics and perfumes. 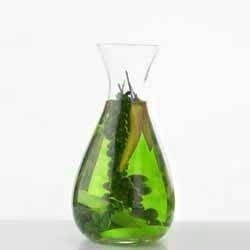 It has helped us in enhancing our client base and is regularly used as a flavor ingredient in major food categories, alcoholic and soft drinks. Our products are available at industry leading rates and act as an anesthetic, antiseptic, anti-spasmodic, stimulant, analgesic, antibacterial and carminative. Our adequate ranges of Spices Oils for Flavouring are developed from Steam distillation process and Oleo resins are developed from Solvent Extractions. Spice oleo resins are developed with the help of exquisite technology and are always used for flavoring of food. This process is usually followed by top notch industries such as meat canning, sauces, soft drinks, and soap, , confectionery and bakery etc. We are adept at offering completely reasonable rates. Looking for Spices Oils for Flavouring ?